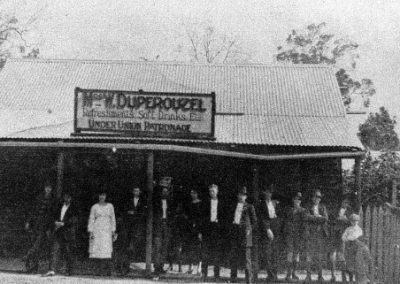 January 21, 1921: Remembering my great Uncle, William James Duperouzel, who was tragically killed in the bush near Noggerup in the south-west of Western Australia whilst working as a timber hewer for Bunning Bros. Timber Mill. William James was the son of ‘John the Frenchman’, Aimable Ciril Dupérouzel, and Julia Neagle, who were pioneers in the York district from the late 1850s. 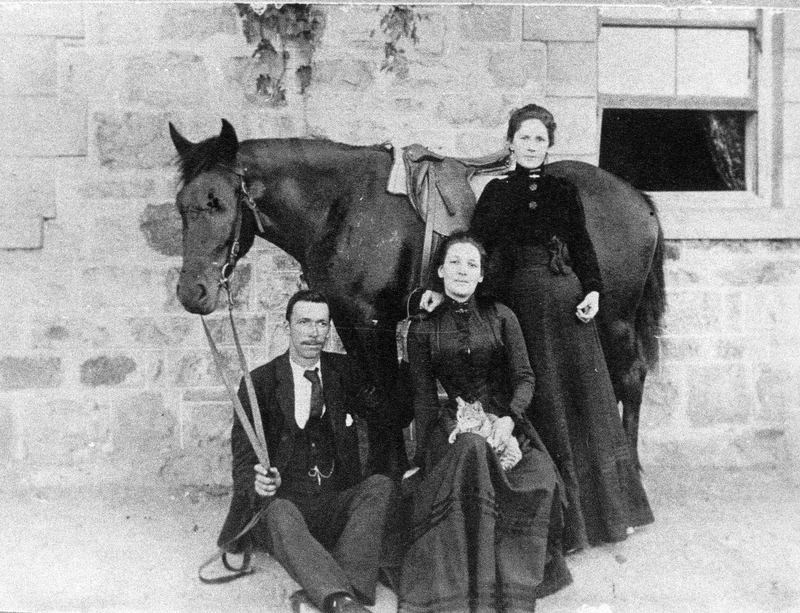 William James was born in Qualen, York, Western Australia on Sept’ 24, 1873 and worked on the family farm with his father and older brother, George Charles Duperouzel, before settling in the south-west of Western Australia. In 1897 William James acquired a pastoral lease for an initial 300 acres in the small town of Arthur River situated 120 miles directly south of York on the road to Albany. Between 1898 and 1909 he subsequently took out a further 5 land leases totalling 1300 acres and 70 acres in the south-west, in the small town of Noggerup. 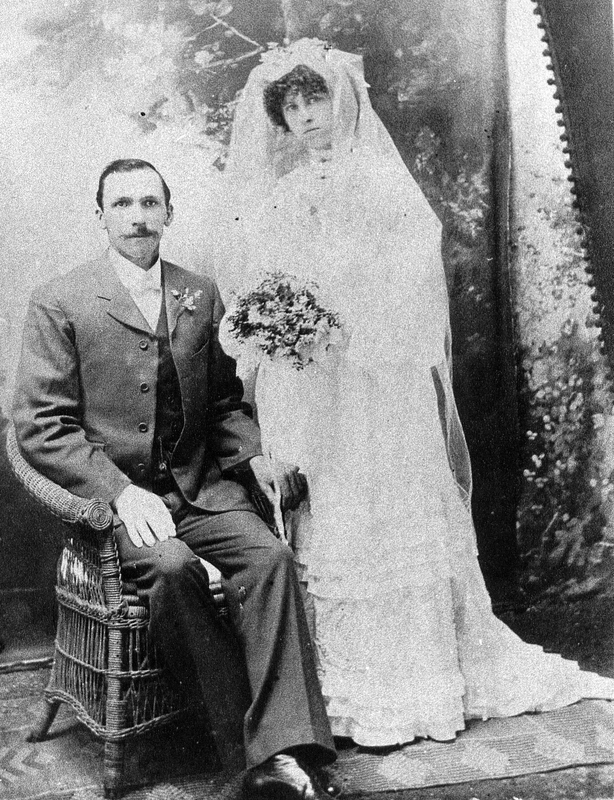 In 1905, now aged 31 years, William James married Florence May Fisher, known as May, in St. John’s Church, Collie. May was from the Upper Preston area. 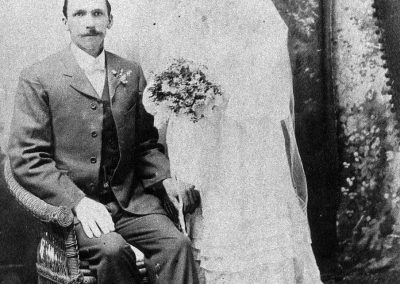 His rank at this time was described as ‘farmer’ on their marriage certificate and his mother’s name is recorded as Maud Smith, instead of Julia Neagle – his father’s name is shown as Amibille Duperouzel. William and May had 8 children who were all born in the Noggerup district: John William Syral born in 1906; Eunice Irene 1907; Julia May 1910; Alexander Ernest 1911; Mona Ivy 1913; Hubert Gwyne 1915; Myra Joyce 1916 and Mary Thomas 1918. William James worked for Peet & Co., a farming company in Arthur River and later for Bunning Bros. Timber Mill in Noggerup as a sleeper hewer for 11 years until his untimely death in late January 1921. 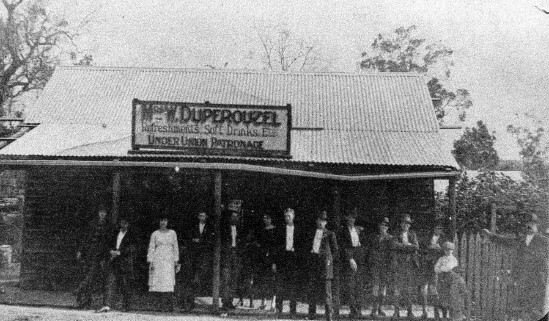 Noggerup and the neighbouring towns of Collie and Donnybrook played a vital part in the development of the timber industry in the south-west of Western Australia. The timber from jarrah trees is very strong and was used to make a variety of furniture, floor boards and railway sleepers. Some of the sleepers were used for the Western Australian Government Railways and some were exported. William James Duperouzel, aged 47, was killed as a result of felling timber whilst working in the bush near Noggerup on January 21, 1921, having been struck on the head by a branch from an adjoining tree. The inquest into his death was extensively reported in The Bunbury Herald and Blackwood Express newspaper on January 25, 1921 and on February 15, 1921. The Bunbury Herald and Blackwood Express, refers to William as being, ‘the son of a widely respected French settler, Mr Amibale C. Duperouzel’. The Eastern District Chronicle newspaper in York also reported William’s death on January 28, 1921. Following William’s tragic death, friends in Noggerup together with his fellow timber workers at Bunning Bros. Timber Mill took up a collection for his widow. This money enabled May to move into the centre of town where she opened a general store. This photo shows May (in a white dress) with her friends in front of her newly opened shop. On most weekends hundreds of men from the bush would gather to play the traditional Australian game of ‘two-up’ in front of the store. Descendants of William James Duperouzel and May Fisher are living in Western Australia, Queensland, NSW, Victoria and South Australia. Extract taken from ‘Petrosellum – A Global History of the Families Dupérouzel / Duperrouzel’.